In a recent post showing a Small White butterfly, I mentioned that the insect was sitting on a red pepper plant. In fact this was the only red pepper we tried to grow in our garden. Feeding this plant with neglect gave us the harvest of a single pepper, which we essentially missed, while we were on holidays. 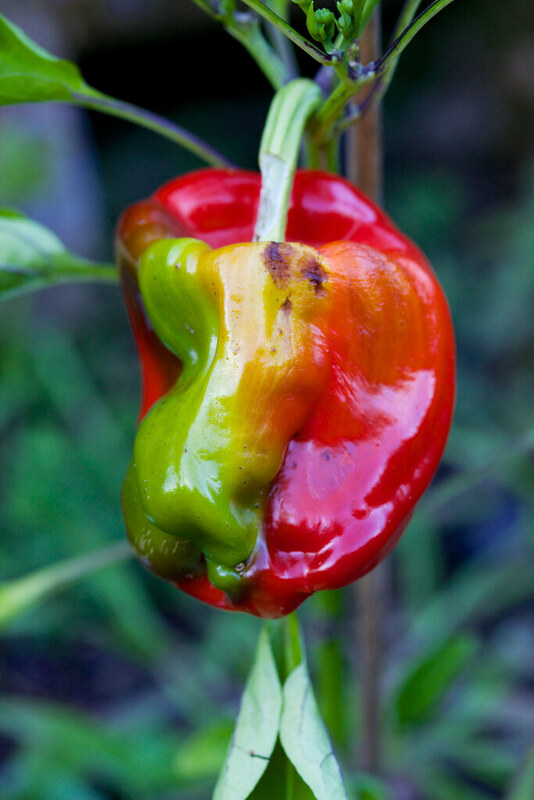 So while the vegetable was slowly going from ripe, overripe to well beyond it’s best before date, I was able to make this picture which gives a nice set of changing colours from greens and oranges to strong reds and some black spots developing where the vegetable was becoming overripe.